Gordon Ramsay welcomed his fifth child with Tana. Source: Instagram/Gordon Ramsay. Celebrity chef Gordon Ramsay has confirmed his wife Tana has given birth to their fifth child together, as he shared a series of sweet photos of them in hospital. The 52-year-old star welcomed a son with his wife at 12:58pm on Thursday in the UK and shared the happy news just hours later on his Instagram page. 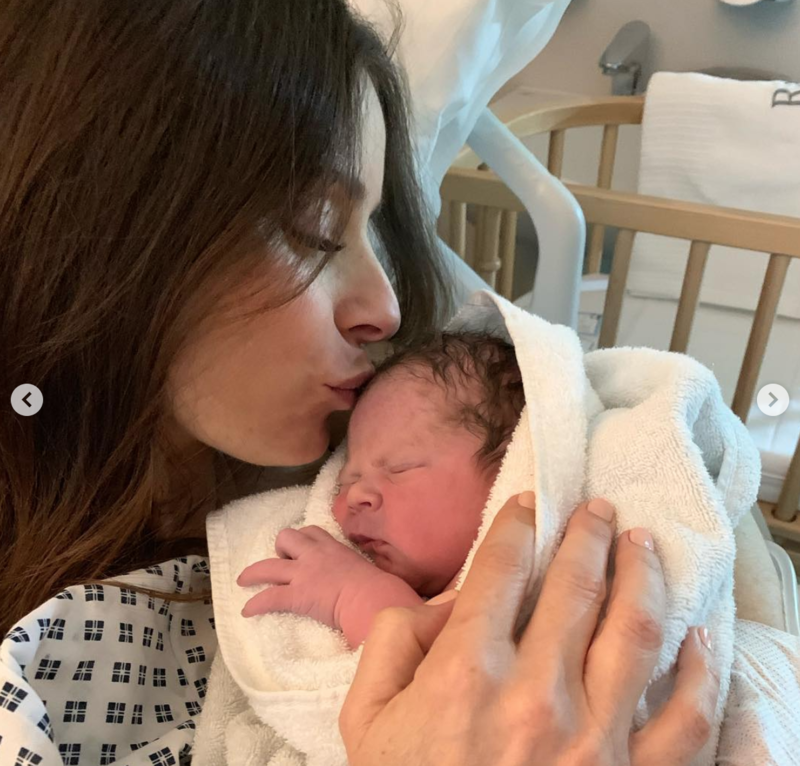 In a sweet message, Ramsay revealed the couple have named their newborn boy Oscar James Ramsay and shared photos of him cuddling up to his smiling mum in her hospital bed. Gordon Ramsay shared sweet photos of Tana in hospital with their son. Source: Instagram/Gordon Ramsay. Ramsay and his wife first announced they were expecting in an Instagram video earlier this year, which saw each of his four children wishing everyone a Happy New Year, before Tana revealed her baby bump at the end of the clip. Tana looked over the moon as she cuddled Oscar. Source: Instagram/Gordon Ramsay. The couple are already parents to Megan, 21, Matilda, 17, and twins Jack and Holly, 19. In June 2016, they tragically suffered a miscarriage when Tana was five months pregnant. Gordon shared the “devastating” news on Facebook at the time and thanked fans for their “amazing support”. The chef has found international fame with an array of successful TV shows and books. At one point he even had his own video game. He’s famous for using profanities in the kitchen and has world-class restaurants in a variety of locations around the world including Melbourne, Cape Town, Tokyo, Japan, France and Italy – just to name a few. His youngest Tilly has now followed in her famous father’s footsteps, inheriting his passion for food, and has presented her own cookery show Matilda and the Ramsay Bunch since 2015, even realising her own book Matilda and the Ramsay Bunch: Tilly’s Kitchen Takeover. Do you have a message for Gordon Ramsay and his wife?